Opening hours: Most shops are open Monday to Friday 10.00-19.00, Saturday 10.00-17.00, Sunday 12.00-16.00. Nature is just around the corner in Gothenburg, and distances are short, making it easy to combine bustling city activities with tranquil moments in the archipelago. How about a shopping spree, a visit to a museum or the large amusement park Liseberg, followed by a swim in the sea on the very same day? 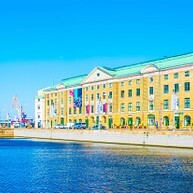 With a unique mix of opera, contemporary dance, musicals and concerts, the Göteborg Opera is profiled as a modern and innovative opera house. 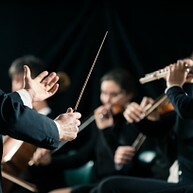 You will be entertained by famous actors, directors, soloists and conductors from around the world, and see productions that attract international attention. Gunnebo House was built at the end of the 1800s and the outdoor pursuits area offers the opportunity for superb walks or other exercise in beautiful countryside. The natural environment around the house at Gunnebo is well known and armed with binoculars you can discover many rare plants and birds. Gunnebo Kaffehus & Krog is housed in the servants’ quarters, right next to the kitchen garden. Freshly baked and with a wonderful smell, the bread comes from the Baking Cottage to be enjoyed with freshly made ecological coffee. Casino Cosmopol is Gothenburg´s international casino and offers entertainment, non-stop excitement and high quality dining in a beautiful setting. 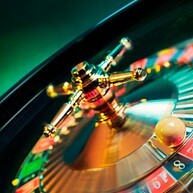 Guests come to the casino to socialize, choose great dishes and drinks from the delicious menu, and enjoy the exciting games 365 days a year. Hop On – Hop Off Bus offer a convenient way of getting around Gothenburg. The bus pass most of Gothenburg’s most popular sights such as Avenyn, Liseberg and Feskekôrka. Hop on and off as often as you want over a 24-hour period. The tour takes about one hour if you decide not to get off. Experience the history and adventures of the Swedish Ship Götheborg. 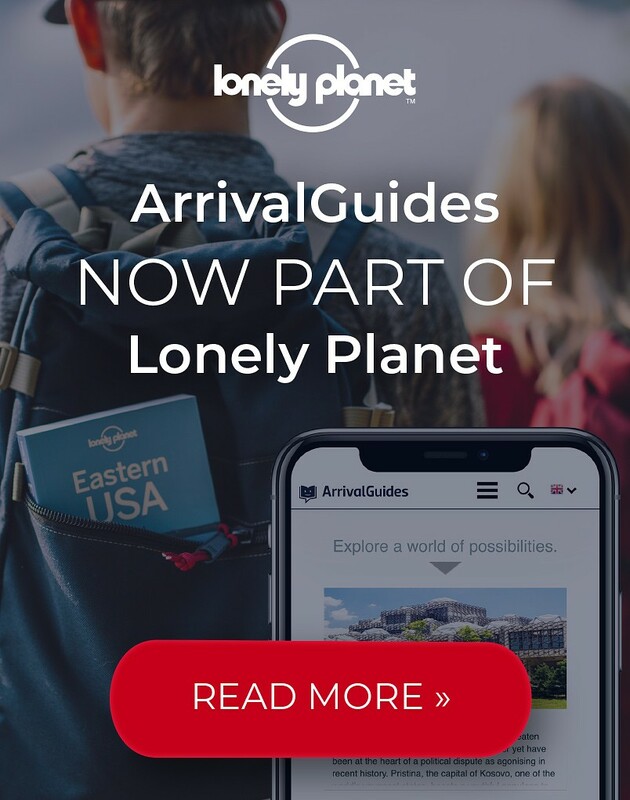 The guides, dressed in 18th century costumes, tell the story of the harsh life on board the ship, the expeditions of today, and the daily eﬀorts to keep the ship under sails. While visiting the ship you can watch the ﬁlm about the China expedition (2005-2007). Welcome to one of the largest botanical gardens in Europe with a strong emphasis on horticulture. Here you will find 16, 000 different species in the greenhouses and beautifully arranged garden rooms. This is the perfect place to experience the change of seasons which are typical for Sweden. 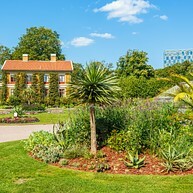 Every season has its own setting within the Gothenburg botanical gardens. On site there is also a shop, café and a full service restaurant. Liseberg is the largest amusement park in Scandinavia. With around forty rides and attractions, there is something for everyone – young and old. The park also hosts popular concerts on the main stage throughout the summer months. The Christmas market is a long-running cosy holiday favourite with market stalls, arts and crafts and traditional sweets and food. The Museum of Gothenburg’s exhibitions tell the story of 12,000 years of history, explore the city of today and take a look into the future. 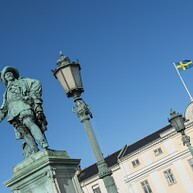 You’ll find the museum in the unique setting of the Swedish East India Company building from the 1750s. They offer guided city walks, lectures and other activities. The Children’s Museum has all sorts of activities for children aged 0-5. 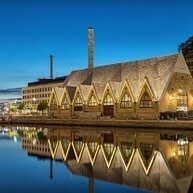 Scandinavia's largest science centre features seven floors of animals, experiments and challenges for the whole family. 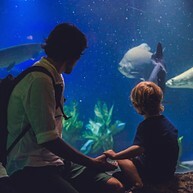 The aquariums are some of the largest in Europe, hosting exciting exhibitions and an indoor rainforest all year round – right in the middle of Gothenburg. 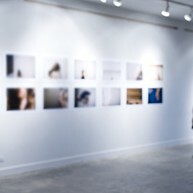 The Hasselblad Foundation is a unique platform for photography in the Nordic region. They present five major exhibitions a year at the Hasselblad Center, of which one is the annual Hasselblad Award Winner exhibition. Additionally, a number of smaller exhibitions take place in the Project Room. 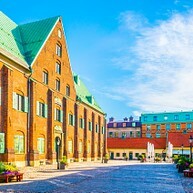 The building Kronhuset, located behind Gustav Adolf Square, is one of the oldest in the city. It was built in the mid-17th century as a storehouse for military uniforms and other military equipment. Today it houses a concert venue and crafts centre with small shops and a café. Enjoy the unique archipelago, with its salty granite cliffs, beaches and deep blue sea. Spend time exploring fishing villages and islands by ferry, by bike or on foot. This is the perfect day trip on a sunny day. The area is also great for sea kayaking, sailing or boat trips. The best way to take in Gothenburg is from the water. This guided city tour passes under many often low bridges including the famous “Cheese Slicer” bridge, and out into the harbour. The boat departs from Kungsportsplatsen and the tour takes approximately 50 minutes. Built in 1874, the indoor fish market hall Feskekôrka, actually looks like a Neo-Gothic church, but is a paradise for seafood-lovers. Besides a market place, they also offer several lunch restaurants and takeaway shops that serves all kinds of fish and seafood. It is conveniently located in the city centre and popular among locals and tourists alike. Temporary exhibitions about the world around us are combined with workshops, events, talks and more at The Museum of World Culture. The building was designed by London-based architects Cécile Brisac and Edgar Gonzales and the museum has one star in the Michelin Green Guide. In addition, a playful exhibition is featured that invites children and adults to explore and experience together. 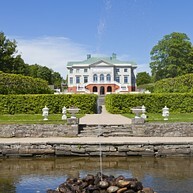 The Garden Society of Gothenburg (Trädgårdsföreningen) is considered to be among the best preserved 19th century parks in Europe. Stroll around, take a break and enjoy the peace and quiet in the middle of the city, just a stone's throw from the central station. For the children there is a very popular playground with swings, slides and winding paths.